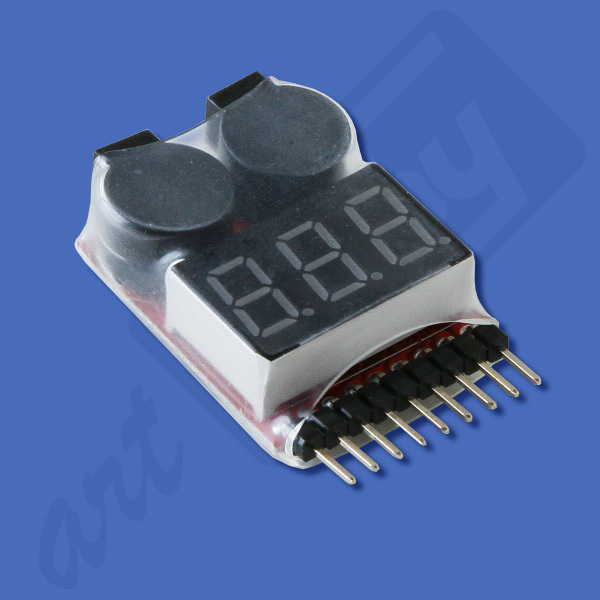 It could be used in the shop or on the field as battery Voltage Tester-Meter also could be installed on board as battery Voltage monitor, buzzer - Alarm. 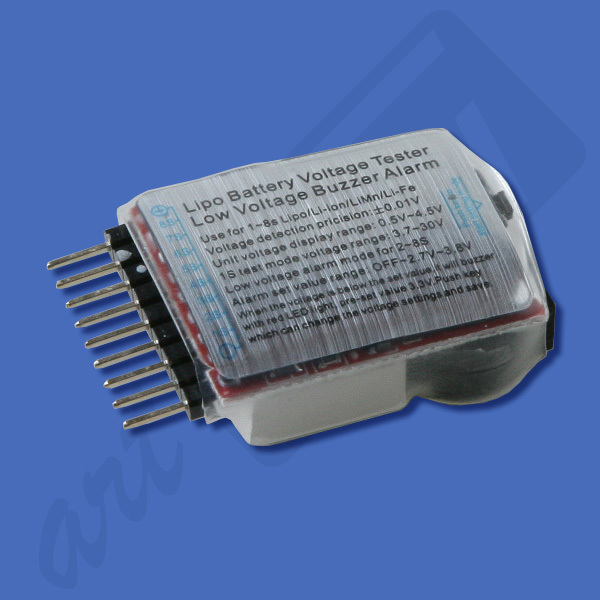 It is a safety device allowing the battery to be use more safely. Pushing key you can change the voltage settings and save. 10 g / 0.35 oz. 41.6x16.6x7 mm / 1.6x0.65x0.27 in.